STRUCTURE OF LEADERSHIP | Organize to enhance your leaders' unique strengths. If the news reports are accurate, the Chipotle Mexican Grill business is a case worth watching by those of us interested in reorganizations, leader development, organization effectiveness, and leader succession. For over a year this company has been in a sad, downward spiral. Meanwhile, they still capture the imagination of investors and customers with their unique nutritional offerings. How can an organization with such huge potential and garnering so much praise fall so quickly? The answer lies in their outmoded leadership structure and its pivot point–individual accountability. As with almost every food service business, the leaders’ goal is sustainability, with any luck into the next few generations. This is true for almost any food service business. But when its leaders are not aware of or are unable to fulfill their accountability for delivering reliable and high-quality food, customer loyalty is reduced, leaders lose their enthusiasm, and long-term growth is not likely. The leaders have not…created Clarity, Focus, Accountability, and Commitment among themselves. Has Chipotle designed and implemented a new leadership structure to support the survival and prosperity of their company? After their business disasters, it would seem to be a logical action. Unfortunately, with no evidence to the contrary, it appears they have ignored their leadership structure and left it in disarray. They reduced their leaders’ clarity by adopting a dual, co-CEO, leadership arrangement. This can increase misunderstanding and confusion all up and down the line. That’s why co-CEO partnerships are discouraged as a leadership structure. It is a most difficult working relationship to coordinate. There is no evidence that they have defined their business outcomes. Without these definitions, it is more difficult for everyone to focus on what’s most important to their customers. There are no signs anyone negotiated the distribution of accountability at the top to make sure someone was on constant alert to deliver every business outcome. Is anyone negotiating for the leaders’ commitment to take responsibility, improve their operations, and fulfill their accountabilities? Frustrated Chipotle shareholders filed a claim against their executives. Then some of the top managers even fell under criminal investigation. Shareholders claim the leaders are liable for the loss of share value due to costly management mistakes. In a Denver Post article, shareholders claim Chipotle leaders allowed unsafe food handling practices to continue even after people became ill. Is it clear even today who is accountable for food handling? Will any legal action truly compensate shareholders, and the victims of foodborne illness, for their losses of health, time and money? Why is Chipotle risking more lawsuits before reorganizing their leaders? Why not reorganize the leaders now so that the company’s offerings are positioned to attract new customers? It could save the company and create jobs. If the leaders, participants, and observers of Chipotle’s case learn how to manage accountability—how to locate it and how to spot those able to fulfill it—everyone could win in this company turnaround: customers, investors, suppliers, and employees. Some might ask, “How would they start to improve the effectiveness of their leadership structure?” They can start by answering questions like these. What arrangements in your current leadership structure make it possible for your executives, time after time, to fail to correct for repeated outbreaks of foodborne illness? Why are customers put at risk and headlined in the news media before their serious illnesses are acknowledged? How are your Chipotle managers applying accountability? Do they understand what it is and what it means? How is the accountability for food safety and quality spelled out? Are you still confused about the accountability for delivering outcomes? Who has accepted accountability for food quality and safety? Is a leader identified by name? Does this leader agree to accept it? What fail-safe mechanisms are in place to ensure food is well prepared every time and at all times? If so, have they been tested to make sure that if they fail they will fail safe? Are Chipotle’s Individual Accountabilities Clear—Defined, Accepted, and Integrated Among the Leaders? While such arrangements are often taken for granted or deemed too basic for the attention of those in the Chief suites they are the bedrock of a leadership structure. Accountabilities are bedrock. When leaders have not spelled out the expectations about accountabilities and roles, they are likely to confuse everyone. Without clarity the stress on the top of the company ladder increases. Executives can find themselves running all day to keep up with unexpected emerging issues. They are overwhelmed. What is worse, though, is how this void gets filled with power grabs, internal competition, lack of initiative, and chronic conflict among the executives and managers. These are leading indicators of confusion over accountability. If you have these problems in your organization, accountabilities are probably not clear. Everyone wishes for a fair and just verdict for Chipotle and its injured shareholders and customers. Meanwhile, as they make their recovery, let’s pay attention to how this Chipotle dispute unfolds. We might learn from their painful experiences and ask ourselves what errors and omissions in leadership structure are present in our own companies? Here are some questions for us all. Have we defined our own critical outcomes and negotiated the accountability for each? This helps to ensure product and service quality and safety might never become a customer’s problem. Why? Because we have identified what leaders we can count on to make sure customers only receive top quality products and services. Have we identified our product or service delivery team members? Have we assured they have the expertise, input, and experience needed to deliver our most critical business outcomes? Have we clarified roles and responsibilities among our team members? What about the roles of those who must support accountable leaders as they work to deliver a customer trusted outcome, for example, a satisfying, nutritious, and safe meal? Finally, have we set in place the internal feedback triggers we need to make sure business killing mistakes are corrected inside, here and now, before our process problems become customer problems? Defining the six to 12 critical outcomes for the survival of a business is imperative in achieving a sustainability. Focusing and acting to deliver these outcomes will only occur in the presence of accountability, modeled by the leadership team. We have created a simple tool for those who wish to measure the clarity of accountability within organizations. Simply send a request to info@genemorton.com and provide your best e-mail address to receive a copy of this tool. For more on outcome accountability, see our podcast episodes 5 and 6 at Lucrative Leadership Conversations. *Note: The intention of this article is to provoke thoughtful conversation about how leaders can better lead together. Although originally written in August 2016, the release of this article was postponed as Chipotle worked through some complex top management choices. With the appointment of, Steve Ells, as the single CEO, and the involvement of activist shareholder, Bill Ackman, the questions posed in this article have become even more relevant. *Many thanks to Susan Hasty and Matt McCarrick for comments on earlier versions of this article. If you want some serious insights into leader development, this article is for you. The connection between development design and a company mission and strategy. How this link can clarify goals and competencies. Enhancing leader learning with special assignments, projects and other experiences. What to think about when you want to choose the people to develop. How to conduct meaningful evaluations of leader development programs. Click on the link below see the article. 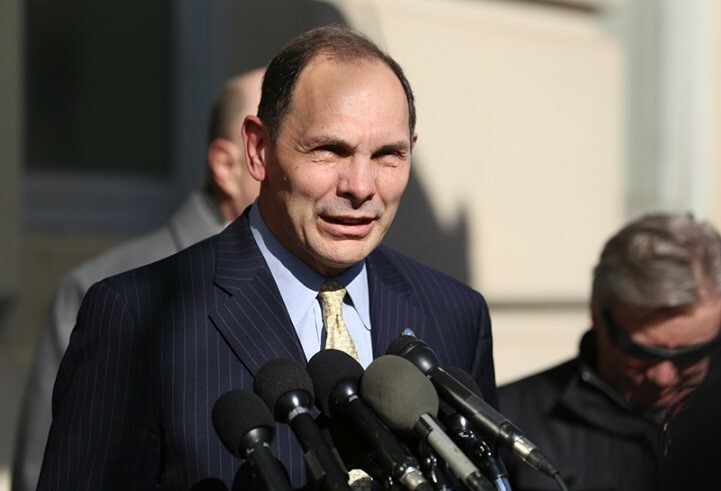 The VA leadership structure needs a redesign starting right at the top. Then they can roll out the new leadership structure design process to leaders of the other divisions and major locations around the United States. What is a leadership structure? It is defining the critical outcomes, granting the accountability, and integrating the roles needed to support a new strategic vision. It is a leadership process where leaders become organized to stay organized. 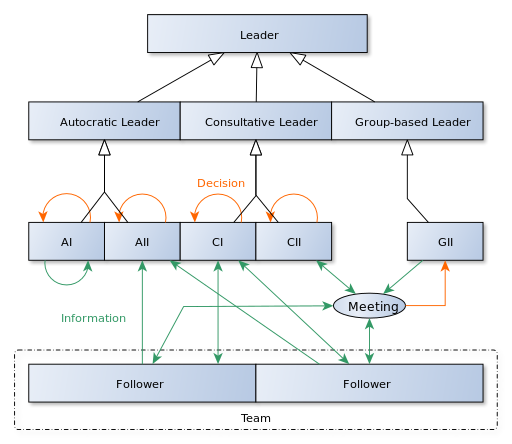 How do I know leader structure needs redesign? The VA’s two assessment reports say so. That is, (a) the Army Corps of Engineers assessment report and (b) the report of a consortium of three of the most prestigious consulting firms of our nation. Just as telling are the headlines and stories about the VA from the last four weeks. They are listed after the following report overviews. There are consistent themes reported throughout: the VA leadership deficiencies are disrupting construction projects and healthcare centers across the nation. Here are excerpts. The VA construction division suffers from conflicts in their lines of authority, priorities, expectations, and standards for accountability. When these elements of a leadership structure are not aligned with an up-to-date mission and vision, they become large obstacles to progress. On the other hand, when they are all in sync everyone is better able to deliver critical outcomes and fulfill the Veterans Affairs vision. After looking at the VA health care system, this group criticizes the wait times and facility costs, oppression of anyone who would speak up about a problem; the lacks of innovation, sharing best practice, and collaboration; and the inability of the VA to carry a standard clinical case load. In addition to these assessments, headlines about the VA’s troubles show their struggle to get by with their current outmoded leadership structure. The headlines, from across the country, along with the above mentioned assessment reports, show how the VA’s outmoded structure and lack of new vision is turning this organization into an operational nightmare for veterans as well as for the people who deliver their care. “The Disturbing Thing That Happens Every Day at a VA Hospital That Treats Quadriplegic Veterans” (video by man in motorized wheel chair to point out staff go missing for 30 minutes every day). Some news reports say Congress members are demanding the VA Secretary fire any executives responsible for the cost overruns at the Aurora, Colorado, VA hospital construction. Of course, this will not fix the VA leadership structure. It only punishes the people who made the mistakes. It doesn’t give any direction to those who stay and have to clean up the mess. Without redesigning the overall leadership structure, any positive effects of firing leaders in the construction functions will probably be short-lived. As you can see, there are many arrows pointing to the need for a leadership structure redesign. How long should veterans have to stand in line and wait for the services they need? Where should the redesign start? The top needs to start first and soon because if the central VA leaders find out they cannot get their act together, there is probably no reason to expect much improvement anywhere else. Is it possible business book summaries offer a new avenue for making your book’s content available to your target audience? In a word – YES! After I discovered EBSCO, it opened up an entirely new method to get my content in front of leaders and librarians worldwide. What is EBSCO Business Book Summaries (BBS)? At a recent drop-in meeting for professional organization development consultants, my friend Judy Cole shared her experience as a corporate subscriber to EBSCO BBS. It shook my world. Every month Judy, one of 100,000 time-starved executive, professional, and leader subscribers, has access to 4-8 page book summaries written by EBSCO’s professional writers. Subscribers like her use EBSCO BBS to keep up with their reading. Their jobs depend on it. These summaries profile books from respected traditional publishers such as Random House, Simon and Schuster, and Harvard Business Review Press, as well as many smaller independent publishers. They include print, e, and audio book formats. Each month Judy reviews the latest EBSCO list of just released book summaries. She scans the list, sees one that looks interesting, and orders a summary with her company’s subscription. In less than 15 minutes, she has a paper print out or has downloaded to read the summary on her phone. If Judy is intrigued by the summary, she orders the book in her preferred format—print, e, or audio—through Amazon or the author’s website. Ever done any library research? If so, you used their service, even if you never heard of them. Libraries subscribe to their reference databases so you can research the business, scientific, and technical journals and periodicals related to your topic. EBSCO is a privately owned publisher with about 300 sales staff worldwide. Does this mean a professionally written summary of my book content could be available to 100,000 subscribers WORLDWIDE? The answer is ABSOLUTELY! EBSCO provides content to companies, governments and institutions all over the world, including colleges and universities, public libraries, medical and health libraries and K-12 schools. I found EBSCO Business Book Services, PUBLISHERS & PARTNERS, (http://preview.tinyurl.com/nc7bgna) in my Google search. Note: For your convenience, the hyperlinks are active in the e-versions of this article. I sent a request to EBSCO to consider my book for their summary. They asked for a review copy. EBSCO reviewed my book, and in a few weeks let me know they had accepted it. I received their licensing agreement. My intellectual property attorney reviewed it and explained my rights and what to expect. Based on their schedule, EBSCO will write a summary of my book. They will send me a copy to check for accuracy. Next, they will send the summary to their worldwide subscribers using a proprietary mailing list. For me to create such a list could take centuries—well, if not centuries, at least 10 years—and by then, all the email addresses would have changed. I cannot wait to see how much interest this will generate about my book. 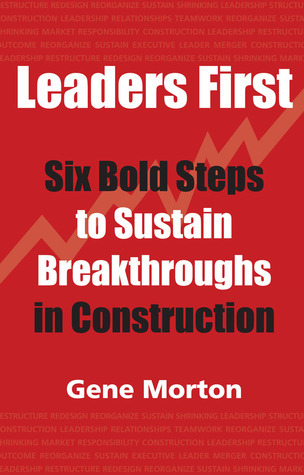 Take a peek at what they are summarizing; see Leaders First: Six Bold Steps to Sustain Breakthroughs in Construction at www.GeneMorton.com, or www.Amazon.com. What about this idea of book summaries as a channel for your business book? Have you ever had experience with one of the book summary services? What lessons would you pass along to other authors who might be thinking of this as a channel? Fiction authors: have you found any book summaries that fit your genre? Leave comments below; let’s start the conversation! About a week ago, I began this case study on scope creep. But the developments in this case are moving faster than I expected. On December 9, 2014, much to my surprise, news reports announced a third-party U.S. Civilian Board of Contract Appeals decided the Department of Veterans Affairs breached its contract for the Aurora VA hospital. On Wednesday morning, December 10, 2014, the Denver Post reported Kiewit-Turner, the contractor-consortium, halted work on the project. This article is an informal case study into the signs, pitfalls, and consequences of scope creep. With these new developments in this project, my hope is we gain a deeper understanding of what drives a project off track, and gives project managers nightmares. In an earlier article, we explored how to inoculate a project or plan against scope creep: Rein in Scope Creep and Create a Successful Project. Now let’s explore how a project might look once it becomes infected. What could an up-to-date and effective leadership structure be able to bring to this project? What other elements will heal the project? But first, thanks to readers’ suggestions, I revised the definition of scope creep. In fact, it is observable in many business ventures and organization changes. Scope creep defined: when leaders allow uncontrolled changes, and/or add-ons, to a project’s goals, deliverables, features, and/or requirements. Scope creep occurs, as well, during the implementation of an organization’s mission, strategic vision, goals, and plans. This definition assumes a project leaders spell out their goals and requirements at the beginning, before the project starts. When they are not, the project is at greater risk of scope creep. Question: Why it is so important to spot and control for scope creep? Answer: It destroys good ideas. It over-burdens innovative plans. It may draw attention and resources away from otherwise robust organization renewal initiatives. Here’s the reasoning. #IdeasAreNotAssets: the value potential of a great idea is not an asset until leaders have implemented it so its tangible benefits are delivered. This applies to software products, construction designs, OD organization culture changes, or in new ventures such as a hospital’s roll out of a new patient care process. Question: When does a project, program, or plan become most vulnerable to scope creep? 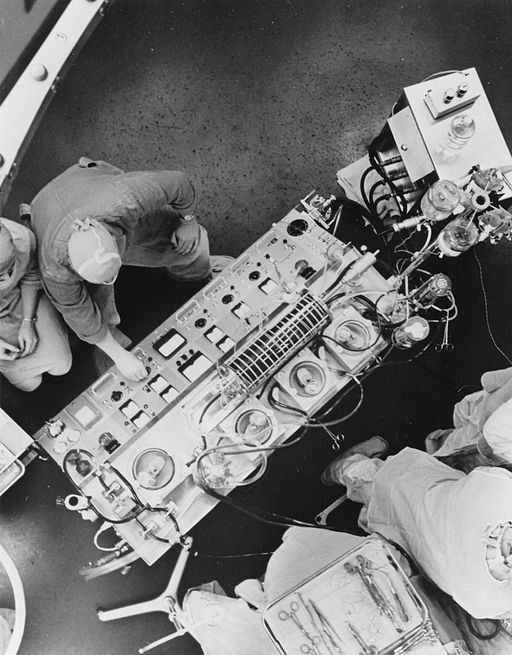 Answer: During its implementation process. Outsider interference is often a source of scope creep. They do not understand how to honor the project goal(s), time, and budget. Interruptions and distractions can come from for those inside the project, as well. 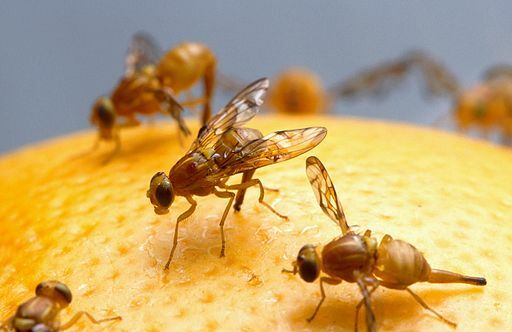 In combination, these well-intentioned folks are like fruit flies in a ripe orchard. All during project implementation they keep scope creep abuzz at its edges. This requires leaders to keep up a project’s boundaries and limits . What are some of the openings where scope creep infects a project? To answer this question, let’s review the highlights of the Colorado VA hospital project. The new Veterans Affairs Hospital in Aurora illustrates how scope creep threatens to kill good ideas. First, scope creep seems to start in 2011. The leaders of the Kiewit-Turner contractor-consortium and VA set the stage. They hand wrote their contract with a few lines on a piece of paper. This friendly but casual action may have opened the project to scope problems. It appears informal and to gloss over many details. The act was like a lapse in infection control. This act could have set the tone and culture of this project. It forewarns of the casual way the VA later added features to the project design. The leaders agreed to build a new VA hospital for $604 million without the test of precise contract language. Their mutual understanding of goals, responsibilities and role relationships went unexamined. Their informal agreement looks more like a spur of the moment statement of intent than of a contract. Yet as the project slid further out of control news accounts report the parties referred to this note as though it were a binding agreement. Second, the contractor claims there were many management problems. They claim massive conflicts, bungled designs, and mismanagement. These short-comings fostered more cost overruns and delays in the project. Quotes of U.S. Rep. Mike Coffman, R-Aurora, agree with this assessment. According to news accounts, he said the project is more than $470 million over its original budget of $604 million and has experienced many delays. When a project design begins to exceed the mutually agreed budget can we say scope creep is in the house? From my experience, the answer is yes. If not controlled and mutually approved, anything outside a project’s established build budget, schedule and other parameters is a sign of scope creep. But how does a project grow beyond its budget? When one or more of the project leaders make changes without consulting with the implementers about the impact on the budget. In this project, there exists a change order process where the VA and others suggest and seek approval to add late-blooming innovations. But here is the third sign of scope creep. According to the contractor, the VA has not followed this change order process. The VA has made errant, uncontrolled, and possibly unspecified changes all along the way, according to the contractor, and each of these instances is a sign of more scope creep. The goal of a change order process is to make sure the project leaders control, approve and manage changes. The process intends to eliminate disruptions and costs. An effective change order process allows approved changes but only after the leaders determine they will not derail the project or add unnecessary costs. Change orders make it possible to add creative ideas or recover from design lapses after a project has already started. These ideas make take advantage of greater efficiencies or create novel solutions that were not obvious at the start of the project. Can Kiewit-Turner and the VA Recover At This Late Date? 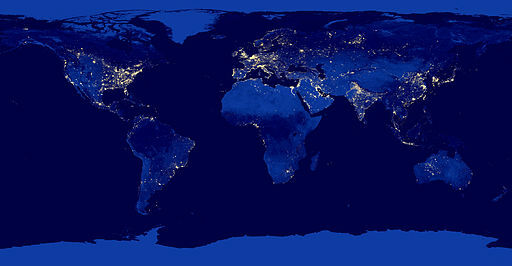 Latest news: The U.S. Civilian Board of Contract Appeals determined the VA created a hospital campus design that would cost $1 billion, not the $604 million promised in the starting contract. Furthermore, the Board found the VA does not have the funds to pay for a $1 billion dollar project. Does it make sense now to set up special leadership structures to cut out and/or manage further scope creep on this project? Let’s take a look at just how entangled the project is so far. Reading between the lines of the Kiewit-Turner formal complaint, little evidence of a mutually agreed leadership structure exists for this project. The Kiewit-Turner complaint details miscommunications, unresolved conflicts, violated expectations, confusing accountability, and ill-definition outcomes, all signs of an outmoded leadership structure. Each of these missing elements creates entry points through which scope creep can enter this project. In addition, there is much finger-pointing and blaming by parties on all sides, a common result of an inadequate leadership structure. These activities are most often direct indicators of gaps, overlaps, and confusion in accountability. Leadership structures provide an organization able to make sure a project delivers its value. But as it stands, the potential value of this project is in decline. For over 10 years its cost of implementation has climbed. For those veterans whose special needs this hospital will treat, every delay is a loss of value. At this late juncture, what can rescue this project and turn it into a successful healthcare facility? What can we do as citizens and taxpayers to boost this project toward a healthy conclusion? Will stopping this project and resetting it be enough? Please share your ideas and suggestions in the comments section below. I send all of my best wishes to the VA and Kiewit-Turner. Let’s hope they will be able to transcend these project setbacks soon. My prayer is they will be able to complete a flagship healthcare facility and improve the well-being and lives of veterans for many years to come.